Full details and facilities listed below gallery. 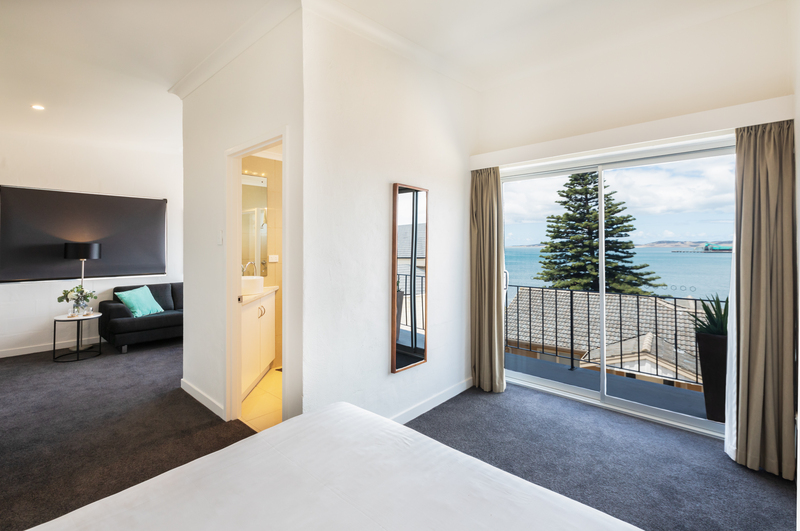 Our luxurious Ocean View Suites are ideal for the corporate or romantic visit with unrestricted harbour views from your private balcony. Sit back with a wine and watch the fishing boats come in after a big day out or watch the grain boats load up, destined for overseas ports.